Port of Southampton. Port of Plymouth. Port of Dover. Port of Portsmouth. Port of Harwich. Connections South West don’t just do UK Airport Transfers Plymouth, we do seaport transfers too. We have a great amount of experience in helping our customers arrive at the seaport on time in our seaport transfer cars. We service a number of different seaports in the UK. We can accommodate and provide a comfortable journey to and from your chosen seaport. If you are landing at London Gatwick Airport, London Heathrow Airport, London Stansted Airport, London Luton Airport or London City Airport and require transportation to any of the major UK cruise ports, such as; Harwich, Southampton and Dover as well as Swansea, Weymouth, Ramsgate, Portsmouth or Liverpool, we can help. Cruise transfers or seaport transfers. Airport to cruise port transfers. Cruise ship transfers from Gatwick. London to Southampton transfers for cruises. Princess cruise transfers to Southampton docks. Many ferry’s and cruises ask you to board at specific locations, between certain times. 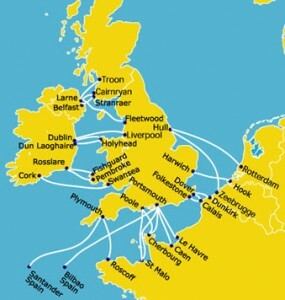 This happens at the following major sea ports as an example: Dover, Harwich, and Southampton. Getting to these destinations can be an added worry and stress on your holiday. Let us do this for you with our experienced drivers. Whether there are only two of you or a group, we have the perfect seaport taxi for you. All our transfer drivers are experienced and know the best routes to get you to your destination as quick and safe as possible.We provide a ferry and cruise transfer service to each of the three major ports, as well as transporting passengers arriving at these ports to any London airport or another destination of your choice. Dover: £500 return or £310 one way. Southampton: £360 return or £190 one way. Tilbury & P of London: £450 return or £240 one way. Avonmouth: £260 return or £140 one way. Harwich: £500 return or £310 one way. If the Seaport you require is not listed, please feel free to contact us as we can drive you to and from any Seaport within the UK. We can offer you a friendly meet and greet service. We will meet you in the seaport terminal, where we will have your name on a board. Once we have greeted you, we will help you with your bags into the seaport and help with your bags out of the seaport. This service costs £20.00. Do you need help checking in? Not sure where to go or what to do? We now offer a ‘help to check-in’ service for £20.00. If you would like our meet and greet service and our help to check-in service, we have this for a special bundle price of £30.00. That’s a £10.00 saving! To make a booking, please simply click the button below.